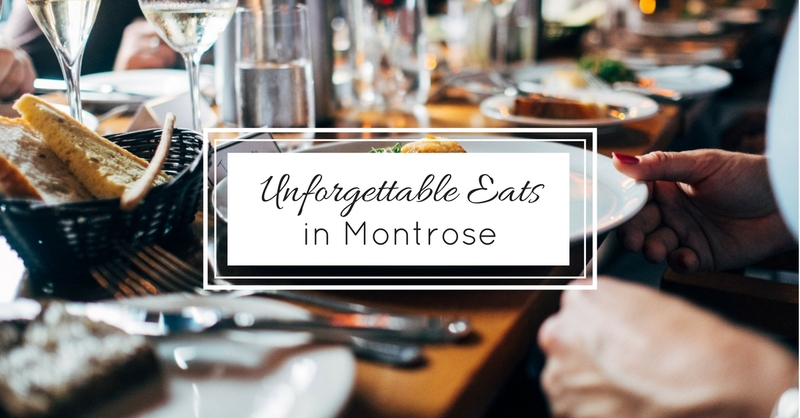 It will never be hard to find a good bite to eat while in Montrose. Whether you’re visiting or a local, don’t be afraid to get out and try a new restaurant! Montrose has a variety of restaurants filled with different tastes and flavors that are bound to satisfy your palette. · Stone House – A Montrose favorite with an American menu. Stop in for a filling lunch or an unforgettable dinner. If you’re looking for something casual, grab a comfortable seat at the bar and enjoy some appetizers and beverages instead. · Trattoria Di Sofia – If you’re a lover of fine Italian food, then this is the spot for you. The warm inviting ambience is enough to make this meal the best you’ve had. · Camp Robber – A great spot with a new American menu. Stop in and try one of their vibrant dishes! There is also patio seating to ensure you never miss the great weather. · Hiro Japanese Steak House – Not only is the food and sushi served and presented so beautifully, but it is some of the freshest sushi you will ever have! Of course, there are also options for the non-sushi eaters that are equally as delicious. · Pollo Asado – A Mexican favorite among the locals! Experience their delicious house made salsa and memorable tacos along with a variety of other options on this well-built menu. · Himalayan Pun Hill – This Indian/Himalayan flavor has something for everyone. If you’ve never had Indian food, this is the best place to try it. The entire menu is full of sizzling flavors and spice if you like it. There is also a great buffet during lunch fit for anyone’s budget. · Crash Burger – Looking for a good old-fashioned burger? This is the spot for you! Crash Burger uses the freshest ingredients to bring you a variety of burgers and the best fries on the side. It is the perfect place for an enjoyable, quick bite to eat. Locally owned restaurants are what gives a town flavor, and Montrose is full of it. Make it a point to stop by one of these fantastic places and enjoy what Montrose has to offer its citizens!